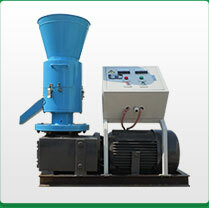 Flat die pellet mill machine is a small capacity pellet mill used for homes, farms or small industrial production. There are 2 types of flat die pellet mill, one is Roller-Turned Flat Die Wood Pellet Mills, the other is Die-Turned Flat Die Pellet Mills. GEMCO improved the pellet mill dies and rollers, the pellet machine became suitable for making pellet like wood, sawdust, straw, stalks and grass etc. 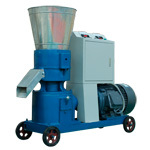 We introduced the flat die pellet mill processing hard wood and sawdust, which we called type ZLSP series . Compared to die-turned ones, this roller-turned flat die pellet mill is better for material mixing and pressing because of the active rotation of roller rather than die. The large diameter roller can bear the reactive force of materials like hardwood, while its comparatively lower productivity reduces its sensitiveness to raw materials, thus can better adapt to materials. The wood pellets made by this roller-turned flat die pellet mill have good shape, high hardness, high density (1100kg/m3), and good durability, can meet storing and transporting requirements. The all-steel structure and the superior reducer inside can manufacture a variety of materials and will exert a better pelletization effect with lower noise during operation. 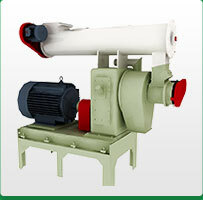 The spindle torque of roller-turned one is twice that of die-turned pellet mill, so it is more suitable to process such hardwood as elm wood, bamboo shavings, etc. 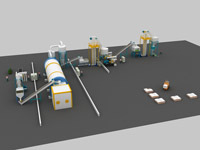 Can be used individually or combined with other auxiliary equipments to form a complete pellet making line. 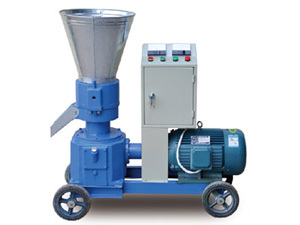 The ZLSP die-turned Flat Die Pellet Mill was previously used for making animal feed pellets. Now with the technical improvement by GEMCO, the late-model die-turned pellet mill is suitable for processing softwood, agro-waste or garden waste. 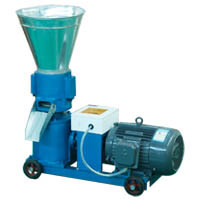 It is also a kind of low cost pellet mill compared to Roller-turned one. So it is the ideal choice for families or farms. The driving gear is made of superior alloy steel. The gear surface processed via carburizing and quenching also has been fine-grounded. 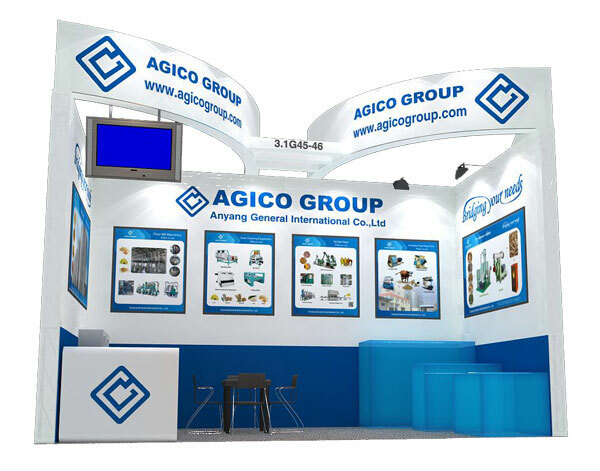 Consequently, it embraces the advantages of steady transmission, low noise, excellent loading capacity, slow temperature rise, long service life and good pressure tolerance. It is most suitable for processing sawdust and other materials. 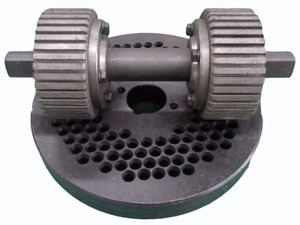 it has the optimum compression ratio of die holes for specific material. 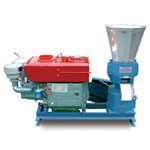 It can be equipped with a hammer mill to be more convenient for home or farm use. Rather lower investment compared to roller-turned type. Simple operation and easy to use. 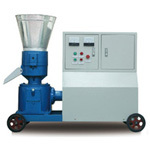 We are able to design the flat die pellet mills into complete pellet plant. No matter what biomass raw material you have, don’t hesitate to contact us for a solution. We are always willing to help!